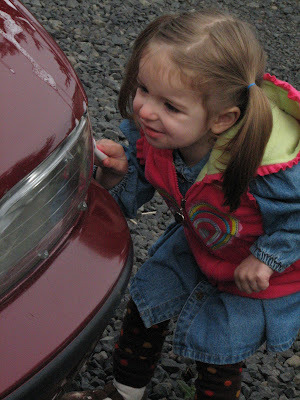 Katie tackled this “task” of helping me wash the car, (with a toothbrush!) with amazing diligence for her tender years. wow, with a toothbrush! That is some serious cleaning going on! A detailed woman in the making! What a sweet picture. Nothing wrong with diligence. Thanks for linking up over at Tots and Me. Love what Alicia said, very good insight!